Read something Baudelaire wrote recently. It was about people loving the ocean because it represents vastness and perpetual motion. I’ve never really liked looking at the ocean. When I lived in Vancouver, I never even went to the beach. What I loved about the coast were the machines. There’s something romantic about the industry that surrounds the sea. The sound of ships coming into port, distant cranes, the salty smell of the seabus terminal and the sound of the ferry’s engine propelling well-dressed West Coast commuters through the dark waves, to their homes, to their jobs. There’s a certain poetry in the way our machines demonstrate a level of mastery over the elements like this. It’s an illusion, of course. 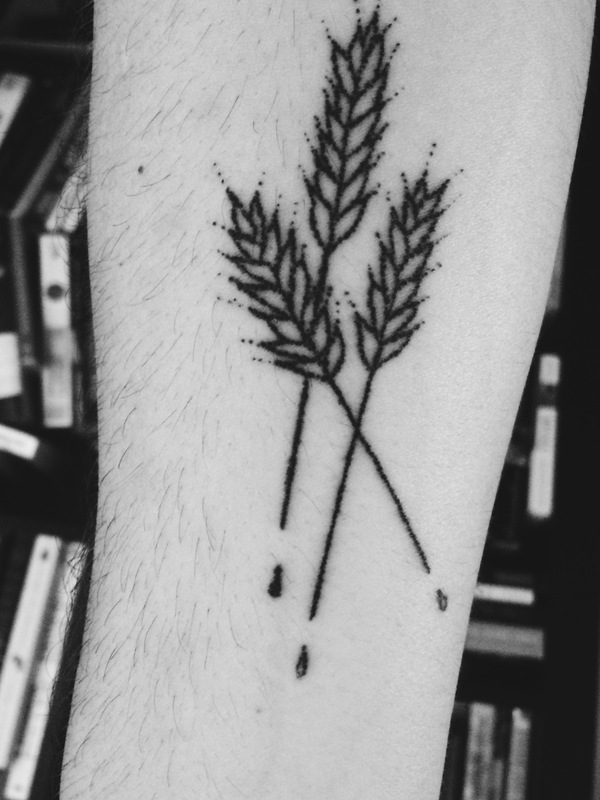 Tyler has this lyric in one of his songs where he describes the prairie as an ocean of grain. Was talking to a friend at the bar about this the other day too: equating the prairie and the ocean. Both have the same dwarfing effect, the endless horizon makes you feel beautifully small, your troubles correspondingly so. But to me, the ocean always seems menacing. You never know what’s beneath the surface. The waves crash against the rocks and you suddenly worry about the toddlers playing nearby. The prairie is life-affirming. It’s the land that feeds us, the ground we build upon. It bears no malice. It is fertile and warm and it experiences a life cycle through the seasons. The ocean remains constant, unwavering in its austerity, its cold agenda. Maybe I just still haven’t gotten over that canoe tip. In July I’ll be all over Alberta shooting with Evan for this mammoth, multi-year project that will eventually be an IMAX movie about what it’s like to live here. I’m reminded of an old girlfriend who was afraid of grasshoppers. A friend helped me figure out how to take a little piece of the prairie everywhere.